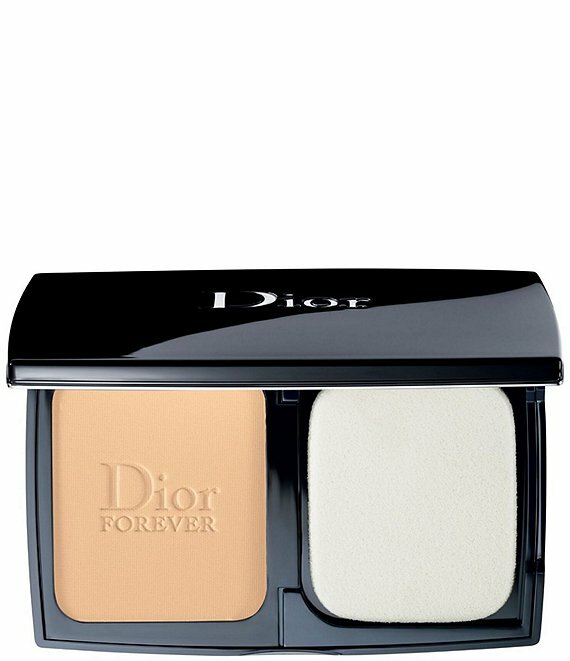 A longwear compact foundation that provides medium to full coverage with an extreme matte finish. The formula can be used alone or as a touch-up throughout the day. Control oil, minimize pores and smooth the complexion with no compromise to comfort and all-day wear. Shine is instantly mattified, and day after day, pores become less visible. Extreme Matte: Smart extra-thin mineral blotting powders act like sponges to absorb and control sebum and shine during the day for a flawless matte finish. Extreme Comfort: The smart blotting powders don't just mattify shine. With All-Day Fusion Wear, they are designed to stay comfortable hour after hour. Extreme Perfection: From Dior skincare science comes a pore-refining essence that beautifies skin day after day. Smooths and perfects skin's surface for a poreless effect. Use alone for all-day coverage and matte perfection, or take it to go for touch-ups anytime.